What Is Affiliate Marketing? A Great Way For Bloggers to Earn Money! Published March 5, 2012 By Anna T. This post may contain affiliate links. Regardless, I only recommend sites I've researched and/or used and trust. I've been blogging for several years now, and during that time I've done a lot of research on ways to earn money blogging. Earning through affiliate networks is hands down one of my favorites. 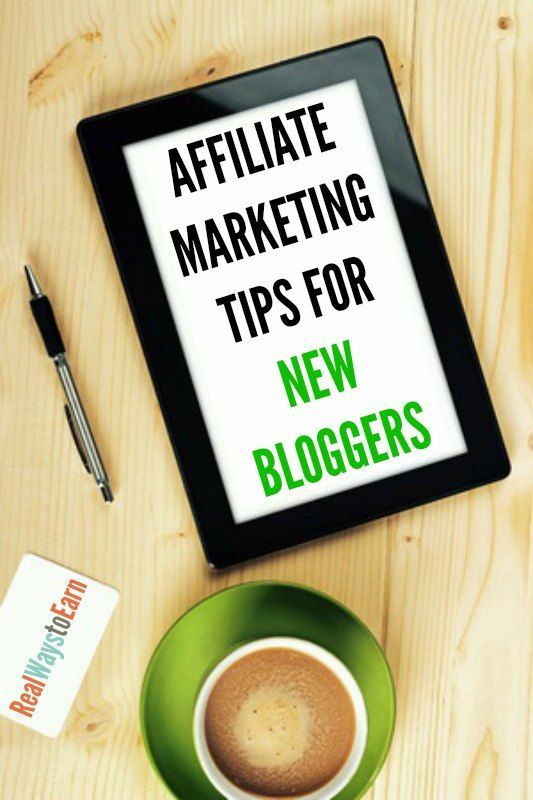 I've had many bloggers ask me, what is affiliate marketing? Hopefully this post will help you understand if you've wondered the same. Don't have a blog or website yet? Go here for instructions to start one in ten minutes or less. Affiliates earn money for helping companies promote their products and services. In return for spreading the word about what these companies have to offer to your audience, the affiliate network will pay you in cash. This is actually a lot like being a referral, which I know most of you are familiar with. But here's a good example. We all know that Swagbucks will give you more virtual “bucks” to use if you use the referral link they give you and get people to sign up under you. But did you know that you can also be an affiliate for Swagbucks and earn anywhere from $1 to $3 in cash for every person that signs up using your affiliate link? Which would you rather do, get the Swagbucks virtual currency or the actual money? If you sign up for various affiliate networks that have the Swagbucks offer, such as ShopHer to name just one, you can get the money every single month. Most of the time you do have to have a website or blog to sign up as an affiliate for any of the major networks, though there may be some exceptions. Affiliate networks you register on will almost always want to look over your website and approve it before they'll allow you to promote their various offers. Sometimes they will have rules about how old your website is and whether or not it would be compatible for most of their offers. If your website is accepted by an affiliate program, you'll get a login and will see a long list of offers to browse once you're signed in. The offers will vary greatly and some will pay per lead while others will pay per sale. If an offer is pay per lead, it means that the affiliate network will pay you cash if a person simply signs up for something. But if you're promoting something that's pay per sale, you'll only get paid if a person actually buys something from the company you're promoting. If your website isn't immediately accepted to be a part of an affiliate network, no worries. Just find out why if they don't tell you, and try again in a few months. There have been a few networks that didn't immediately accept me at first, but they did later on after my blog grew. Many companies run their own affiliate programs independently and do not go through major networks. If there is a product or service you love and mention on your website all the time, visit their website and check to see if they have an affiliate program you can join to start getting paid for all the traffic you send them. #1 – Sometimes you can promote these offers in places other than your website, like on your social media accounts or in your newsletter. Don't overdo it though, you don't want to irritate your followers by posting ads too much. Always check the terms of each offer to make sure promoting them outside your website is OK.
#2 – Try not to promote things unless you feel you can stand behind them. The trust your readers have in you and your credibility as a blogger is far more important than earning a quick buck or two. #3 – Unless your blog revolves around sales/deals/products, etc., you should keep the promotion to a minimum. You don't want to run your regular readers off even if you are promoting trustworthy things. You know why they come to your blog, so deliver on that first. #4 – Disclose your affiliate status somewhere on your site. If you don't know how to write an affiliate disclosure, you can generate a free one here. Then, just create a page on your blog (not a post) and title it “Affiliate Disclosure” and copy/paste the disclosure statement you generated in. Then, link to that page at the bottom or top of every blog post with affiliate links (required). It's also a good idea to have it linked somewhere on your homepage. I have a link to mine in the footer of my blog. #5 – Don't decorate your site up with hundreds of little affiliate banners. Some are OK, but too many are a major distraction to your readers. Less is definitely more. You can always write a post about something you want to promote instead of using a banner ad. I've actually found that putting affiliate links throughout my articles is far more effective than those in-your-face banners anyway. Ultimate Bundles – I'm always recommending them. They've paid me many times! They have a ton of product bundles that will appeal to a wide variety of audiences. These bundles practically sell themselves, and you'll get a nice commission on each one. ShopHer – I mentioned this one above. They have a ton of paid survey and money-saving/deal offers. Great for frugal living, money-making, or “mom” type blogs. They pay on the 15th with Paypal as long as you've met the $50 payout threshold. Share a Sale – This one has a ton of offers through all kinds of companies and brands you're likely familiar with. It is a good fit for pretty much any type of blog. They pay monthly via direct deposit to your bank account as long as you've met the $100 payout threshold. Amazon Associates – The most popular one! Accumulate affiliate earnings when people purchase things from Amazon using your unique referral links. Pays monthly to your bank account as long as you have earned at least $10. Obviously this topic is much broader than what I've posted above and there are all kinds of ways to be strategic in your promotion to earn more money. My goal with this post is just to introduce you to it as a means of earning money with your blog if it's not something you're already doing. If you want more in-depth guidance on earning money through affiliate marketing, you might be interested in this e-course I recently took. Making Sense of Affiliate Marketing was created by Michelle of the Making Sense of Cents blog. She currently earns around $100K per month with her blog, with much of that coming from affiliates. Her eCourse was fantastic and she is more than qualified to teach you all about the topic. I increased my own affiliate earnings by almost $2,000 more on top of what I typically earn after going through her e-course. Lots of good info here I can actually use, thank you. I just have one question, is it okay to use more than one affiliate network? I already use Adsense and I want to try another one but I’m not sure if that’s allowed. You can use any affiliate network alongside Adsense. I think the main concern with Adsense is that you don’t use ads from any other networks that look just like their ads. But affiliate networks — and other ad networks — should be fine as long as the ads don’t look like Adsense ads. I wish I could be an Amazon affiliate. I live in NC and, unfortunately, thanks to our general assembly passing a tax bill, we can no longer be affiliates. Hope that eventually gets changed. Ooh, 8 to 10 percent is really good! I have not used Amazon a lot for any of my websites because with the nature of my sites (I guess with the exception of the savings one), there’s just not a lot I can promote there. So far (at least for me) Panthera converts the best, but it varies per offer. I don’t think anything though has been as high as 10 percent. I’ll be giving Amazon another look!